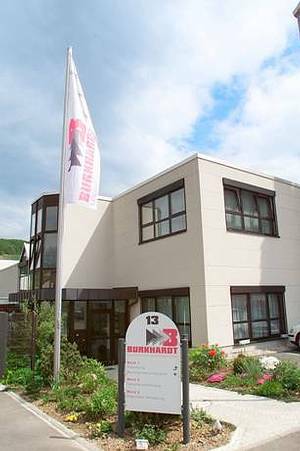 Burkhardt was founded in 1972 by Rolf Burkhardt and currently employs about 450 people at the headquarters in Vaihingen Enz / Ensingen, Germany. The family business has recently moved into new premises of more than 10,000 square meters size. In doing so we have once again underlined the strong ties to our home region and its highly qualified employees. To our customers, this step means security and reliability with regard to the continuation of successful business partnerships. Falling back on the engineering capabilities and innovative power typical for this region of Germany, Burkhardt has always been able to create solutions made to measure for our customers’ individual requirements. As a full-service partner, we manufacture plastic injection molded parts, do surface refinement and provide for a complete assembly and testing of our products. This lets our customers achieve a real competitive advantage by shortened lead times and reduced costs. Our core objective is to provide superior quality while at the same time achieving highest efficiency in all processes and operations. Our customers benefit from this in all relevant respects: we can produce faster, better and more cost-effective than our competitors in the market. We provide our customers, who operate in the automotive sector primarily, with all kinds of injection molded plastics, mechanical assemblies and front panel assemblies for car radios and A/C control units. We thereby offer a broad range of services from a single source – from tool design and development to mass production.